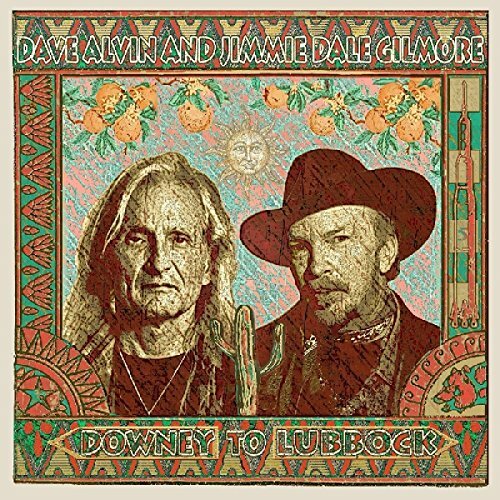 DOWNEY TO LUBBOCK was born by immaculate inspiration from live shows Grammy winner Dave Alvin and Grammy nominee Jimmie Dale Gilmore performed together in 2017. Just the two of them were swapping songs and cutting up, each with a guitar and a heart full of soul, musicians who ve been on the road their entire adult lives. The result is an album of blues, rock and folk inspired tunes that both of their fans will enjoy. The album contains 12 songs - 10 covers and two originals - and is destined to be a classic Americana album from two Americana legends. If you have any questions about this product by Yep Roc, contact us by completing and submitting the form below. If you are looking for a specif part number, please include it with your message.